Glow. Radiance. Illuminate. Brighten... I don't really care what word is used, I want it. Having drier skin my skin can get a little dull, so I find myself being drawn to any products that can brighten and perk up my skin. be it skincare or makeup, I'll try it. 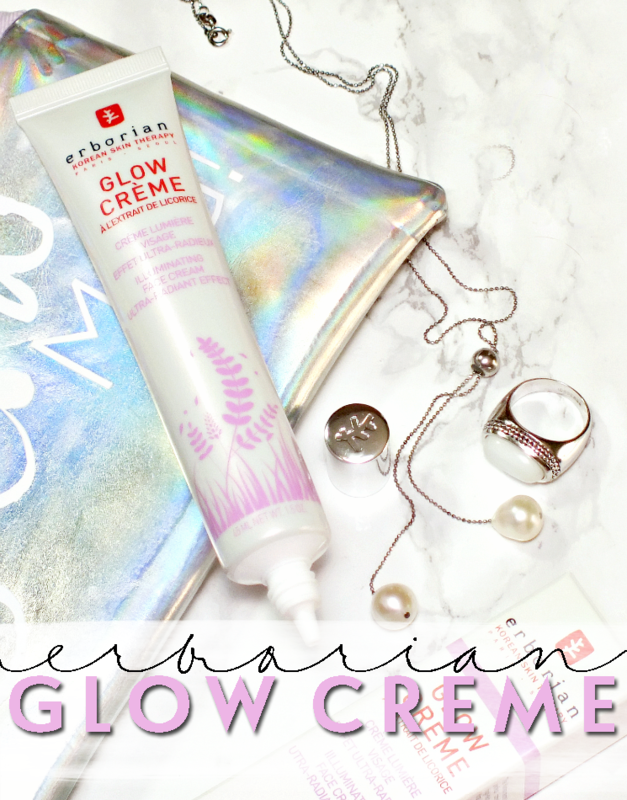 I know I'm not alone on the hunt for the perfect youthful glowy look, which leads us to the Erborian Glow Creme Illuminating Face Cream. "The Korean secret to a visibly perfect complexion lies in high-tech, multi-use formulas that help to improve the appearance of your skin, so it looks luminous and soft. Glow Creme offers a luminous blur effect and a fresh complexion in a simple step. This multi-benefit cream, with an illuminating effect, helps to give skin a fresh, dewy, perfect-looking finish. 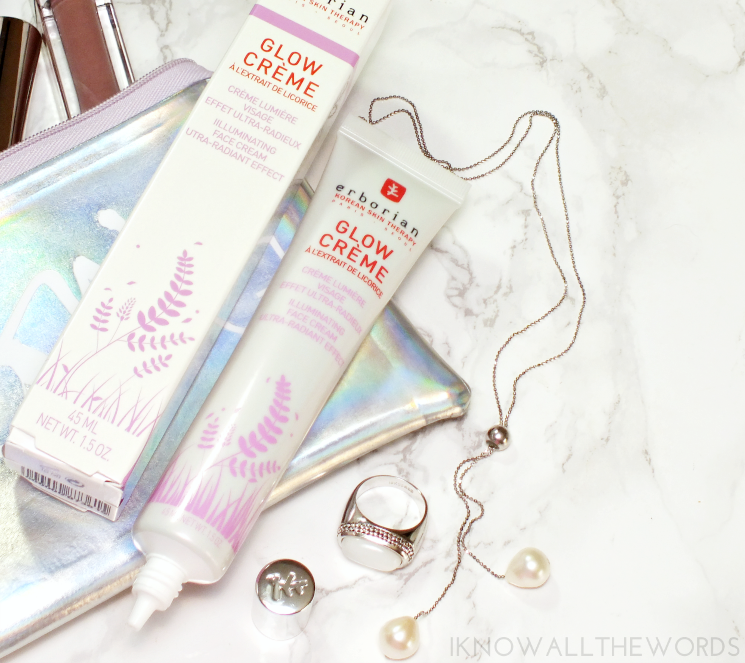 Upon application, Glow Creme helps to reveal a pearly glow that seems to catch the light and subtly reflect the light, like a 'hologram effect'." If like me, you're new to Erborian, it's a Korean meets French brand (made in Korea with the luxuries of France) created by Korean cosmetic scientist Hojung Lee and globetrotting beauty lover Katalin Bereyl. Their shared passion for beauty lead them to create Erborain that is founded on the principles of Korean herbology. The brand focuses on gentle formulas that feature natural but powerful ingredients like ginseng, bamboo, and matcha with high-tech cosmetic engineering. 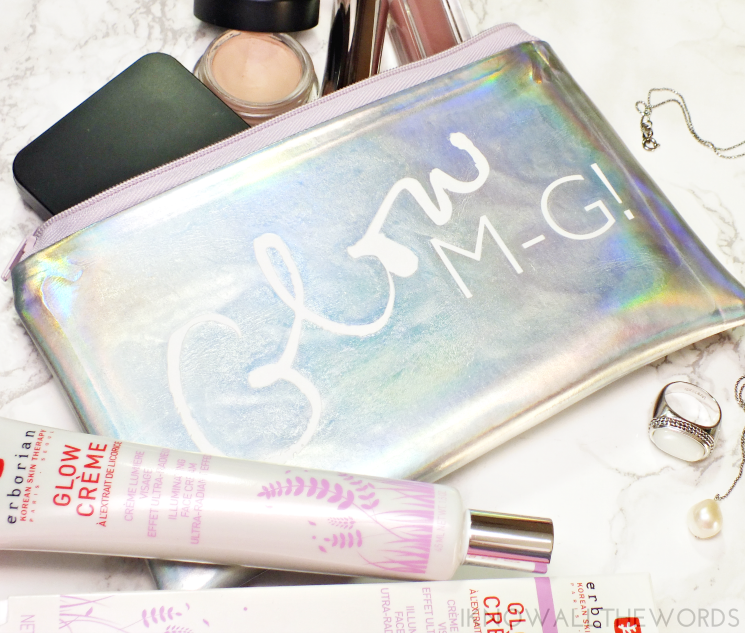 So, what exactly is the Glow Creme Illuminating Face Cream? 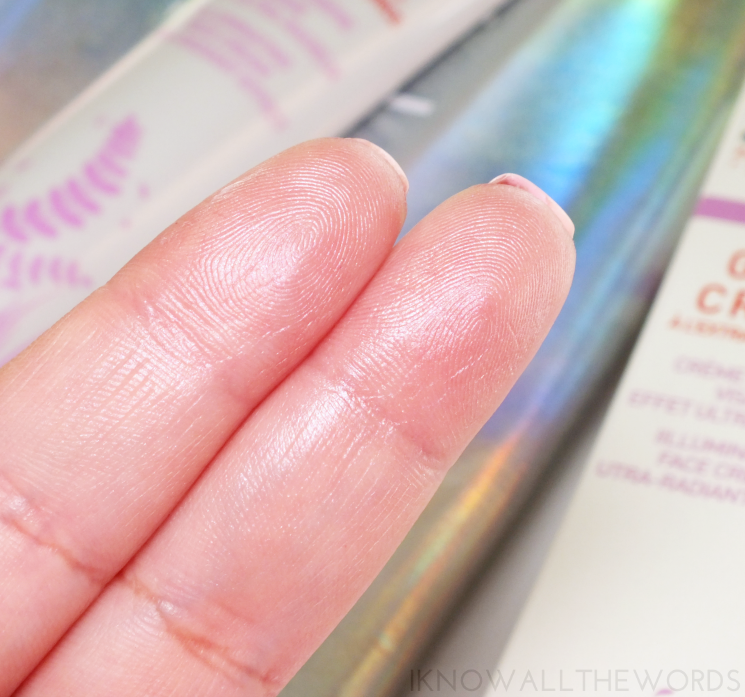 Straight out of the tube, it looks incredibly glowy, with a strong lavender-pink holo effect. It doesn't initially look like something to slather all over your face, but it is. The glow effect is quite subtle, but the moisturizing cream softens skin (it feels petal soft after application) and leaves it with a soft, pearly radiance. I've found tapping it in (as opposed to a typical rubbing motion) results in a more visible effect on skin while still absorbing. As mentioned, the cream does hydrate and immediately leave skin feeling smoother, which makes it a perfect primer-type product for use prior to foundation. I've actually be adding a little pump of foundation into it to make my own BB cream and the effect is a naturally radiant finish that is hydrating but not overly dewy. It's a perfect combo for warmer weather when you don't want to anything heavy or overly dewy that will make you look like a shiny she-beast. 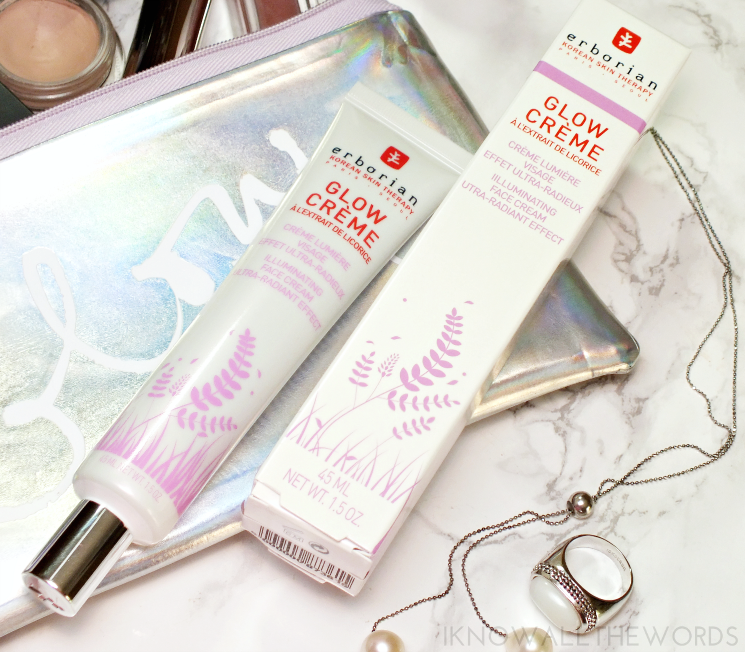 Overall, I am very much a fan of this cream and am looking forward to trying a few more products from the brand (which is currently available at Sephora for easy purchasing.) 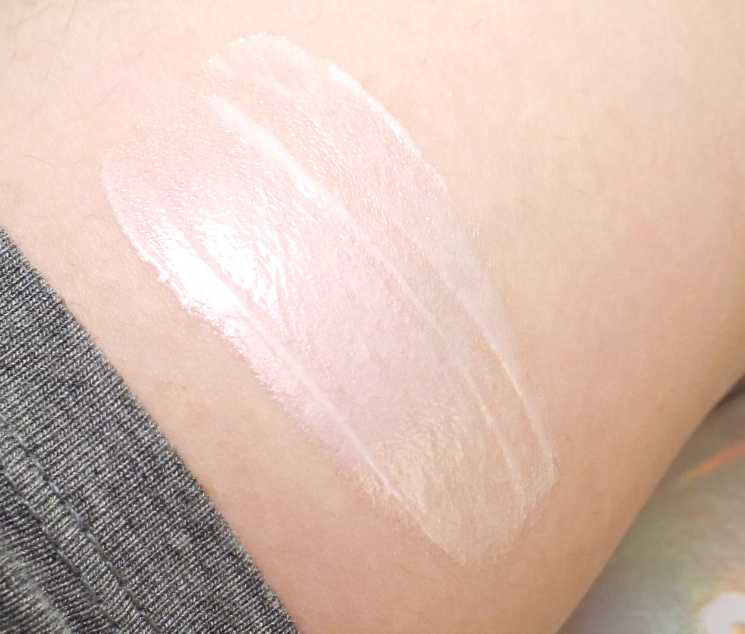 As long as you're not expecting a highlighter level of holo and glow from this cream, I can see most everyone enjoying it. What do you think; need this? Have you tired anything from Erborian? Psst... holo lovers check out Ross Miu for a selection of stunning pouches and bags!